Is Obama hedging his bets with a fashion jinx? Some might certainly say so. 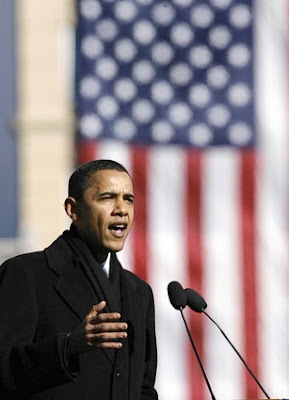 As Barack wins Wisconsin, his ninth straight triumph over a fading Hitlary, it looks like your boy is foreshadowing his outfit for January 20, 2009. Everyone here at Gotham City agrees the cashmere topcoat with matching black scarf is très Inauguration Day.